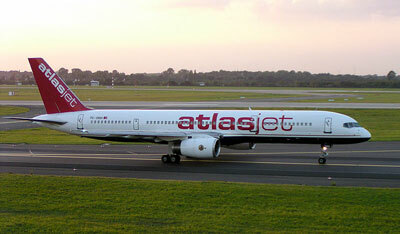 Founded in 2001 with headquarters at Istanbul Turkey, Atlasjet Airlines is operated and managed by ETS. It operates domestic scheduled passenger services and regular charter flights to cities across Europe, Kazakhstan and the United Arab Emirates. Atlasjet operates from its main base at Atatürk International Airport, Istanbul, with hubs at Adnan Menderes Airport, Izmir and Antalya Airport.